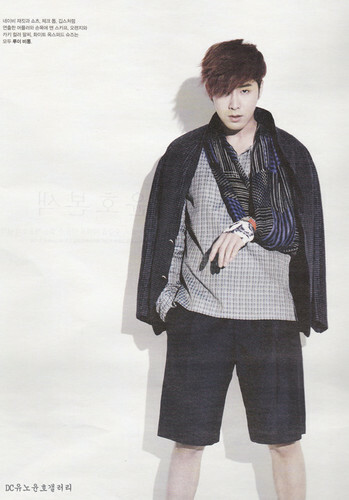 Yunho in High Cut Vol.102. . Wallpaper and background images in the TVXQ!! club tagged: u-know yunho tvxq dbsk. This TVXQ!! photo contains 겉옷, overclothes, and 겉 옷. There might also be 상자 코트, 박스 코트, 상자 외 투, overgarment, 겉옷, 외투, 겉 옷, 잘 입고 사람, 정장, 바지 정장, 잘 차려 입은 사람, 양복, and pantsuit.